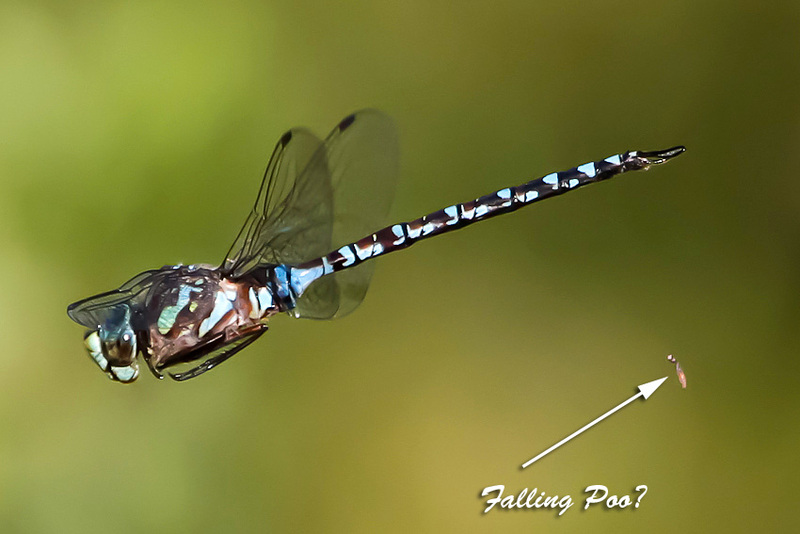 The Ohio Nature Blog: Did I Photograph a Dragonfly Pooing? Don't adjust your monitors, eyeglasses, or contact lenses. The photo above is horribly out of focus. But as I was going through the literally hundreds (about 900 to be exact) frames that I shot of these darners at Little Pond, Maine, one in particular caught my attention. It had a little pinkish thing hanging from the tip of its abdomen. What the heck is it? Here is the next frame immediately afterwards- This one is in focus, not only the dragonfly, but also the foreign object. 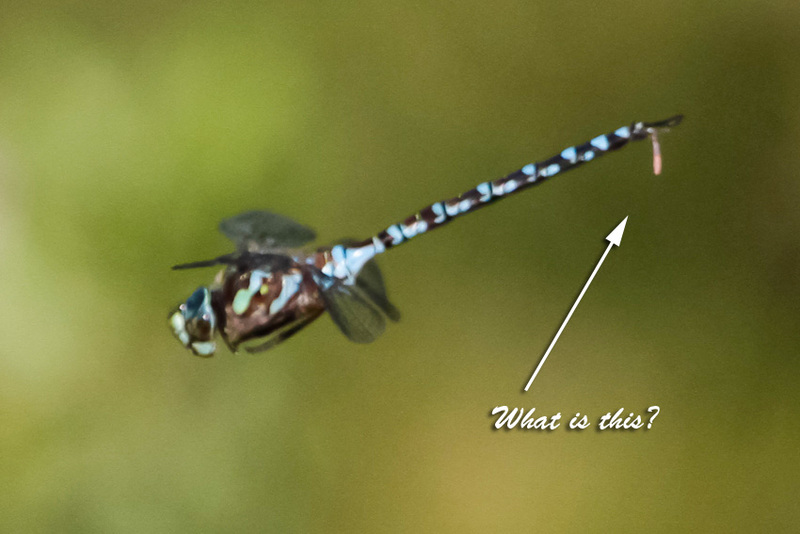 I'm definitely not an expert on dragonfly poo, but I'm just saying....what else could it be? Megan, the resident poo-ologist in the house, says poo. What do you? Tom, how about an egg? How very intriguing! =) The shape sure makes sense, given theirs. @Rich- Maybe? I can't tell form this angle if the cerci look male or female. Most female dragonflies are fairly deliberate in their egg laying- this one was hovering about 6 feet above the ground when this little piece of chit fell off. I suppose it could be eggs and poo? Just eggs? Just poo? I'm not sure. I vote for poo! Great pics too.